LED (Light Emitting Diode) is new technology with advantage of saving energy and very long lifespan. 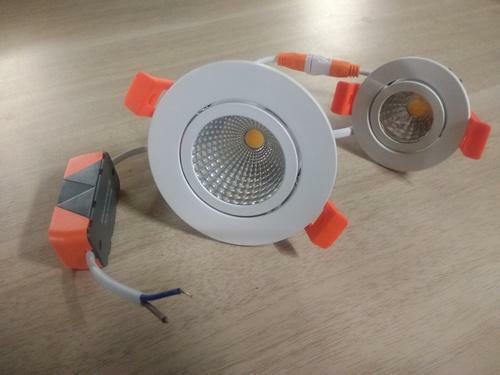 But all LED lightsource can not be faultless especially SMD, HP, flux LED etc. Compare to traditional lighting such as fluorescent lamp, as it is super bright in a small size. Colour: White & Warm White. Body Material: High grade Plastic. Established in the year 1983 at Maharashtra, India, we “Absolute Instrumentation” are Sole Proprietorship Company based firm, involved as the Manufacturer of Control Panels, Synchronising Module, LED Driver, LED Street Light, LED Flood Light, COB. All our products are getting widely acclaimed among the large clientele for their exclusive designs, superior quality, and reliability. Apart from this, our ability to maintain timelines as well as quality in the assortment, providing cost effective solutions and assurance to make timely shipment of the orders placed by customers have assisted us positioning our name in the list of top-notch companies of the industry.